Match ends, Milan 1, Roma 3. Second Half ends, Milan 1, Roma 3. Attempt saved. Giacomo Bonaventura (Milan) right footed shot from outside the box is saved in the top left corner. Giacomo Bonaventura (Milan) wins a free kick in the attacking half. Attempt blocked. Keisuke Honda (Milan) left footed shot from outside the box is blocked. Assisted by Philippe Mexes. Goal! Milan 1, Roma 3. Carlos Bacca (Milan) right footed shot from very close range to the bottom right corner. Attempt saved. Carlos Bacca (Milan) with an attempt from very close range is saved in the centre of the goal. Assisted by Davide Calabria with a cross. Attempt saved. Miralem Pjanic (Roma) right footed shot from the centre of the box is saved in the centre of the goal. Assisted by Mohamed Salah. Goal! Milan 0, Roma 3. Emerson (Roma) left footed shot from the centre of the box to the bottom left corner. Attempt saved. Mohamed Salah (Roma) left footed shot from the centre of the box is saved in the centre of the goal. Assisted by Francesco Totti. Attempt blocked. Francesco Totti (Roma) right footed shot from outside the box is blocked. Assisted by Mohamed Salah. Corner, Milan. Conceded by Alessandro Florenzi. Substitution, Roma. Emerson replaces Stephan El Shaarawy. Attempt missed. Mattia De Sciglio (Milan) right footed shot from outside the box is high and wide to the right. Assisted by Giacomo Bonaventura. Attempt missed. Alessio Romagnoli (Milan) header from the centre of the box is too high. Assisted by Giacomo Bonaventura with a cross following a corner. Corner, Milan. Conceded by Wojciech Szczesny. Attempt saved. Keisuke Honda (Milan) header from the centre of the box is saved in the bottom right corner. Assisted by Mattia De Sciglio with a cross. Attempt missed. Keisuke Honda (Milan) left footed shot from the right side of the box misses to the left. Assisted by Juraj Kucka. Offside, Milan. Giacomo Bonaventura tries a through ball, but Carlos Bacca is caught offside. Attempt saved. Giacomo Bonaventura (Milan) right footed shot from outside the box is saved in the bottom right corner. Assisted by Luiz Adriano. Attempt blocked. Francesco Totti (Roma) right footed shot from outside the box is blocked. Assisted by Alessandro Florenzi. Foul by Giacomo Bonaventura (Milan). Attempt missed. Giacomo Bonaventura (Milan) left footed shot from the left side of the box is too high. Assisted by Mattia De Sciglio. Substitution, Milan. Davide Calabria replaces Alex. Attempt missed. Stephan El Shaarawy (Roma) right footed shot from the centre of the box misses to the left. Assisted by Alessandro Florenzi. Attempt saved. Francesco Totti (Roma) right footed shot from the right side of the box is saved in the bottom left corner. Assisted by Miralem Pjanic. Substitution, Roma. Francesco Totti replaces Kevin Strootman. Gianluigi Donnarumma (Milan) is shown the yellow card. 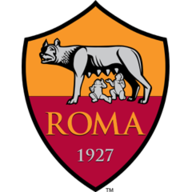 (Roma) wins a free kick in the attacking half. Back pass by Gianluigi Donnarumma (Milan). Goal! Milan 0, Roma 2. Stephan El Shaarawy (Roma) right footed shot from the centre of the box to the bottom left corner. Assisted by Miralem Pjanic with a through ball. Substitution, Milan. Giacomo Bonaventura replaces Andrea Bertolacci. Luiz Adriano (Milan) is shown the yellow card for a bad foul. Foul by Luiz Adriano (Milan). Attempt saved. Alessandro Florenzi (Roma) left footed shot from the right side of the box is saved in the bottom right corner. Assisted by Daniele De Rossi. Philippe Mexes (Milan) is shown the yellow card for a bad foul. Attempt missed. Keisuke Honda (Milan) left footed shot from the centre of the box is too high. Offside, Roma. Miralem Pjanic tries a through ball, but Alessandro Florenzi is caught offside. Second Half begins Milan 0, Roma 1. Substitution, Milan. Luiz Adriano replaces Mario Balotelli. First Half ends, Milan 0, Roma 1. Kevin Strootman (Roma) wins a free kick on the left wing. Attempt missed. Radja Nainggolan (Roma) right footed shot from outside the box is high and wide to the right. Assisted by Miralem Pjanic. Attempt saved. Alessandro Florenzi (Roma) right footed shot from the centre of the box is saved in the bottom right corner. Assisted by Miralem Pjanic. Offside, Roma. Miralem Pjanic tries a through ball, but Stephan El Shaarawy is caught offside. Dangerous play by Kevin Strootman (Roma). Corner, Milan. Conceded by Kostas Manolas. Offside, Milan. Manuel Locatelli tries a through ball, but Mario Balotelli is caught offside. Attempt missed. Mario Balotelli (Milan) right footed shot from the centre of the box misses to the right. Assisted by Juraj Kucka. Attempt saved. Miralem Pjanic (Roma) right footed shot from the right side of the box is saved in the bottom left corner. Assisted by Mohamed Salah. Offside, Milan. Keisuke Honda tries a through ball, but Andrea Bertolacci is caught offside. Attempt saved. Keisuke Honda (Milan) left footed shot from the centre of the box is saved in the centre of the goal. Carlos Bacca (Milan) wins a free kick in the defensive half. Offside, Roma. Lucas Digne tries a through ball, but Mohamed Salah is caught offside. Corner, Milan. Conceded by Lucas Digne. 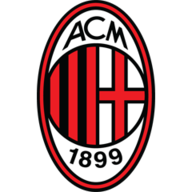 Manuel Locatelli (Milan) is shown the yellow card for a bad foul. Foul by Manuel Locatelli (Milan). Goal! Milan 0, Roma 1. Mohamed Salah (Roma) left footed shot from the centre of the box to the bottom left corner. Assisted by Kevin Strootman with a through ball. Attempt missed. Radja Nainggolan (Roma) left footed shot from the left side of the box misses to the left. Assisted by Lucas Digne. Attempt missed. Mohamed Salah (Roma) left footed shot from the left side of the box misses to the right. Andrea Bertolacci (Milan) wins a free kick on the left wing. Foul by Andrea Bertolacci (Milan). Offside, Roma. Mohamed Salah tries a through ball, but Miralem Pjanic is caught offside. Attempt missed. Radja Nainggolan (Roma) right footed shot from outside the box misses to the left. Assisted by Mohamed Salah. Attempt missed. Mario Balotelli (Milan) right footed shot from outside the box is high and wide to the right. Assisted by Keisuke Honda.